176 Seiten, Softcover, Format DIN-A5, - English Edition (IN ENGLISCH!) with 8 photo-pages of the Crystal Skulls and her owner. 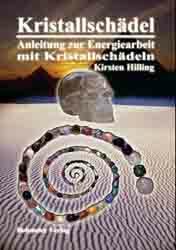 Once again “Kasper” informed Kirsten Hilling that the spiritual world and the crystal skull consciousness asked her to co-create a new unique project to bring the energy of the crystal skulls to the world. ... who will be part of the “Crystal Skull Event” in Holland in May and some others, she offers a magical journey of experiences, awareness, wisdom and divine to the reader. 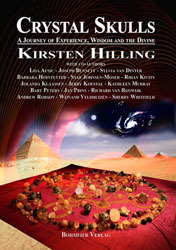 Each author shares with the reader his own very special path with crystal skulls, shares unique experiences, offers suggestions and opens new perspectives to all of us. We get to know about the importance of the crystal skulls for the unfolding new age. 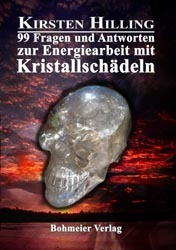 The reader will go together with our crystal skull experts on a exciting, interesting and unique journey to never ending self-experience, awareness, oneness and unconditional love. 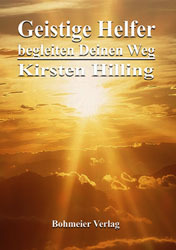 ISBN 978-3-89094-705-1, 176 Seiten, Softcover, Format DIN-A5, - English Edition (IN ENGLISCH!) with 8 photo-pages of the Crystal Skulls and her owner.